Possibility to spend the night at San Jose airport (SJC), if open 24 hours. Services available, places to rest (free resting zones), or look for the list of nearby hotels and vip lounges..
San Jose airport operates with numerous flights, both domestic and international, so movement is often constant. Although terminals are open 24 hours a day, layover passengers will have to remain in the public area once the security control closes for the night. It is not a very comfortable place to rest. It is recommended to have a sleeping bag or blankets. Where to rest: Terminal A is more comfortable, as there are padded seats and carpeted areas that offer a little privacy, for example in the Meet & Greet sector, above the check-in area. 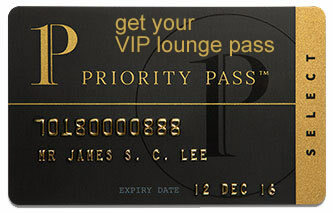 Another option (by paying or with a credit card that provides the service) is to make use of the airport's VIP lounge, where you can access more amenities. The only problem is that it closes at night. There are also hotels in the vicinity that operate shuttle services. Baggage: There are no luggage storage offices, so you will have to keep your baggage with you until check-in. Eating and drinking: As businesses close at night, the only options for a layover are vending machines. Restrooms: Showers available only in the VIP lounge. Other services open around the clock: ATMs, children's play area, nursing rooms, massage chairs. Many of the closest accommodations provide complimentary transport services for their guests, and in the baggage reclaim halls there are courtesy phones to request information.